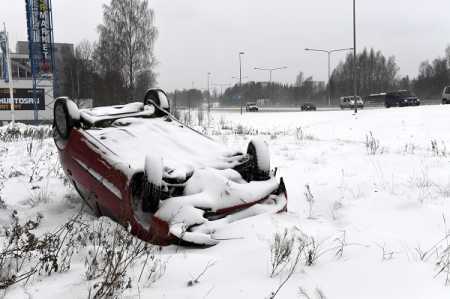 At least 21 people were killed and 460 injured in road accidents in the country in November, according to preliminary data of Statistics Finland. A total of 367 accidents took place during the period and the number of persons killed was one higher and that of persons injured 91 lower than in November 2015. Of the persons who were killed, 15 travelled by passenger car. Pedestrians killed in road traffic accidents numbered four and cyclists one. In addition, one other road user was killed. Among those who died, 16 were men and five were women. A total of 4,341 road traffic accidents involving personal injury happened in January to November period. In them, 220 persons were killed and 5,384 persons injured. The number of persons killed was 29 lower and that of persons injured 442 lower than in the corresponding period of 2015. Of the persons who were killed, 139 travelled by passenger car, 10 by van, four by moped, 15 by motorcycle and four by lorry. Pedestrians killed numbered 23 and cyclists 16. In addition, nine other road users were killed.